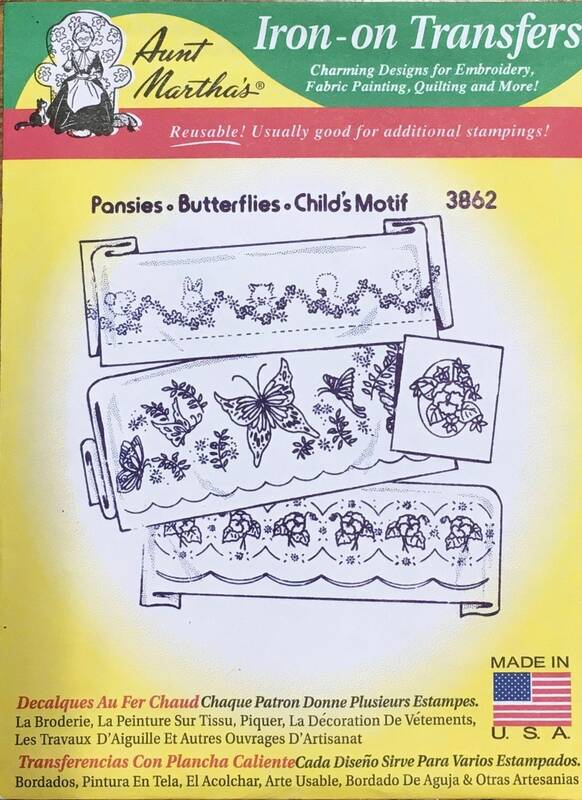 Pansies, Butterflies, Child's Motif with Flowers and Baby Animals (bunny, bear, cat, chick) - Aunt Martha's Hot Iron transfers. Each design is good for several stampings. 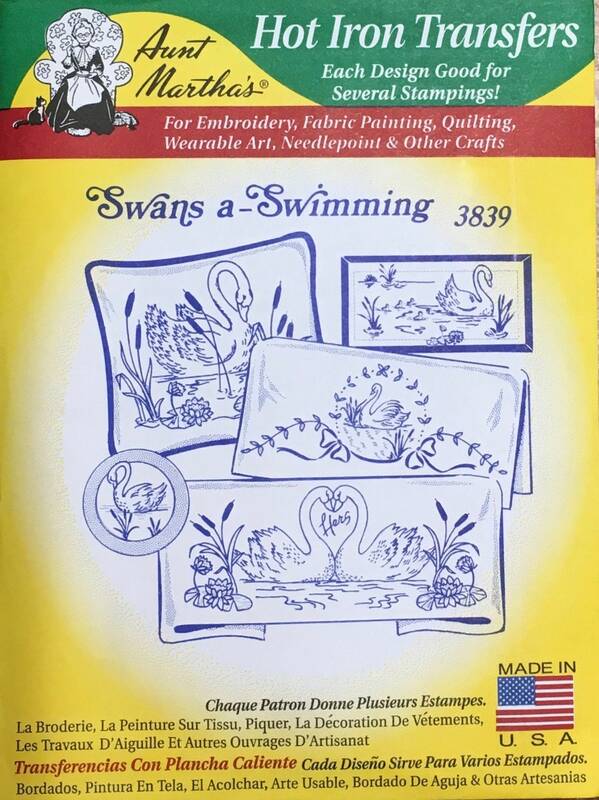 Use these for embroidery, fabric painting, quilting, wearable art, needlepoint, cross stitch, and other crafts! Made in the USA!